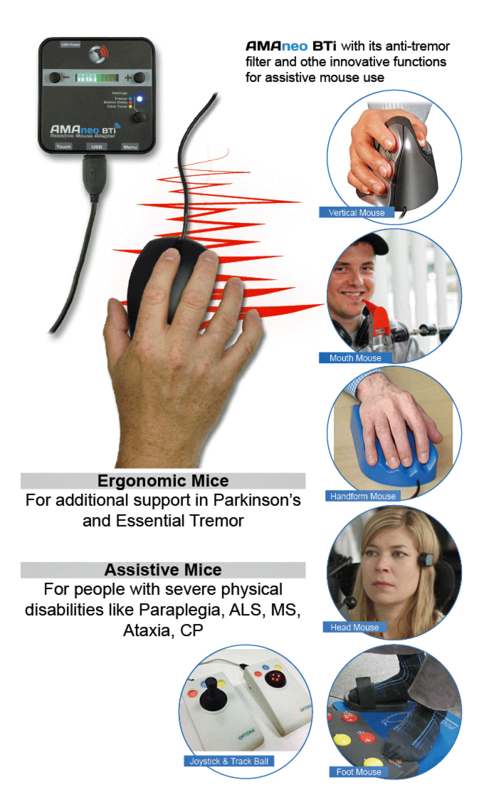 AMAneo BTi enables disabled people to operate iPad & iPhone by mouse. 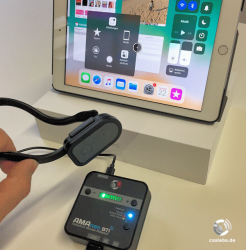 Until now, it was not possible for you to control your iPhone or iPad with a mouse or a mouse replacement. Millions of people suffer from a severe hand tremor, e.g. caused by Parkinson's disease. The severe tremor makes it more or less impossible to operate iPad or iPhone. This is relatively uncomfortable, as you have to jump from function to function and can never "click" something directly. When AMAneo BTi will be available? We can not tell you exactly when AMAneo BTi will be available finally. But wee are quite sure to start from March 2019. 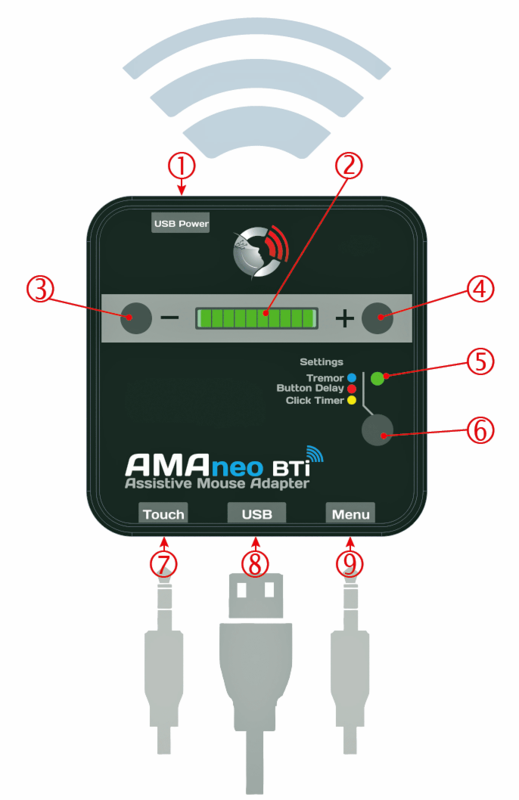 AMAneo BTi has only to pass the last tests.